I love New Jersey so much I spent an extra two hours there. Wow… I am sore today. Yesterday Pete and I ran 16 miles and damn it was hilly! I always forget when I’ve been gone for awhile, but upstate NY is all uphills and downhills. We had such a nice long weekend, and it was a bummer to leave. The drive home was only a slight nightmare this year. Not my favorite part of the trip home. 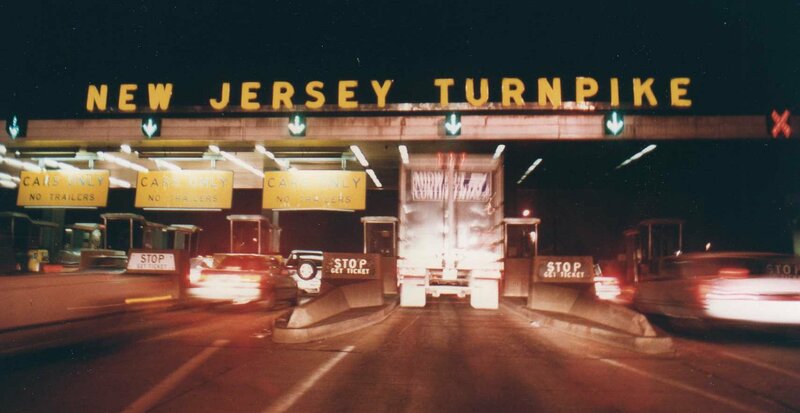 The worst part of the trip is on the NJ Turnpike because the traffic gets so backed up. We lost two hours just on the NJP. 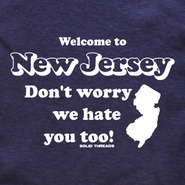 I guess it’s not New Jersey’s fault though, since most of us are just travelling through. This is sooo damn funny. This past week I totalled 68 miles even with one day off and with the 5k on Thanksgiving. I didn’t follow my training plan this week due to the mid-week race, but I still got in all of the work I was supposed to (just in a different order). My legs really took a beating from all the hills, so I might skip my speed session tomorrow. I’ve been thinking a lot about what I really want to do with my life. I enjoy teaching and really enjoy coaching cross country, but I feel like I could do so much more! I’m seriously considering starting an online coaching business. I’ve never really used an online training program, but I did use a marathon training book for my first marathon. I majored in Kinesiology as an undergrad and Exercise Physiology in grad school, so it would be pretty easy for me to design various training programs. But I don’t want to focus on marathon training, I want to have a wide range of programs for all different racing distances. Have you ever used an online training program? Have you ever considered paying for coaching services? If you have any tips or suggestions I would love to hear them. I’ve had a coach for about the past year ( I don’t use her when I’m not training for a race.) I love it! I would be following generic plans otherwise/ not knowing what I was actually doing. Its nice to have a running brain. That’s awesome Meggie, I’m glad she has worked out for you. Did you pick your next race yet? I’ve used a online coach in the past and I currently use a coach (I wouldn’t consider my current coach to be online coaching). The online coaching was beneficial for me at the time, I was new to running – it was April and I needed to know how to run a marathon in June. She was helpful and I saw results. I started using my current coach immediately following the Chicago Marathon ’10. For me the money has been well spent. Thanks for the input Maryclare! I just had to “approve” your comment. It’s supposed to cut down on spam but you should be approved automatically from now on in case you feel compelled to comment again 🙂 Is there anything specifically that made you switch from online to your current coach, or was it just for convenience sake?